It’s Thursday and time for a TBT Cookbook Review. Let’s do the third of the four books in the Time-Life Series Flavor of Italy from 1999. I’ve already written about the volumes Emilia Romagna and Piedmont. Time today for Tuscany. Sicily? Next week. It’s impossible to say where the “best” place to visit in Italy is. Depending on what you love — art, architecture, food, mountains, hiking, seashores — there’s going to be a different “top spot” for you. For Suzi and me, the choice is not easy, but it does come down to Tuscany, birthplace of the Renaissance, land of vineyard-covered hills, and home to so very many of the dishes we consider classic Italian. Florence is there, and Lucca and Siena and … When you visit Tuscany, you never want to leave. Yes, you do finally come home. But those memories never leave your brain. Tuscany was originally settled by the Etruscans, a mysterious people, who came from Asia Minor over 3,000 years ago. They never forged a single empire and were eventually and rather peacefully absorbed into the Roman empire. The Roman empire absorbed the food ideas, too. When the Roman empire itself fell, Tuscany went into retreat. The cities were abandoned. The people returned to villages and fields. 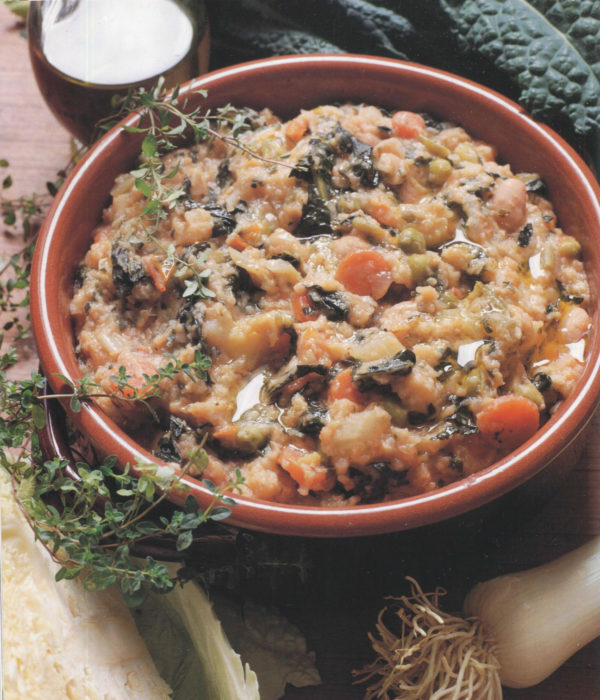 Bread became the staple food and bread dishes were created that still appear on the tables today, like this Ribolta or Vegetable and Bread Soup. 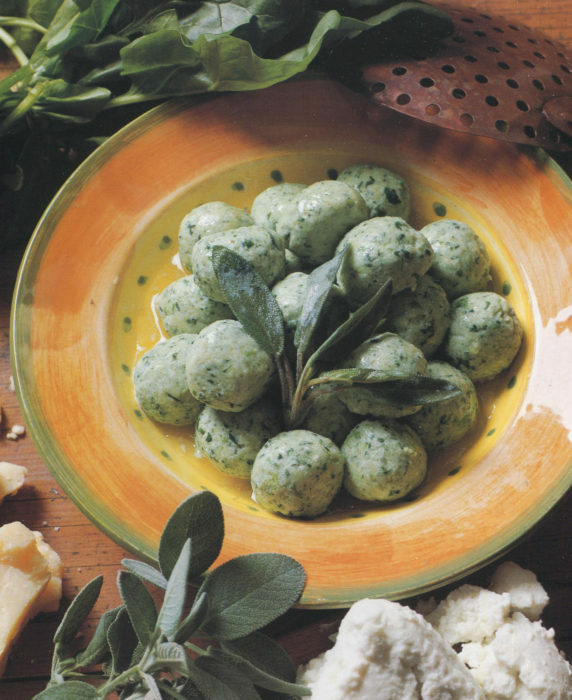 Pasta is always present on Tuscan tables, including such happy choices as Spinach Gnocchi. The dishes can be hearty and made with just a little surprise. 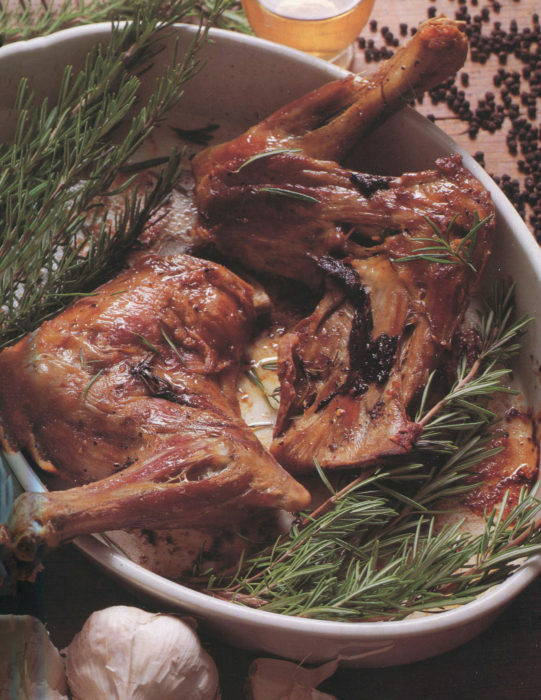 Here is Tuscan Lamb Roast made with garlic, rosemary, and – yes – white wine vinegar. 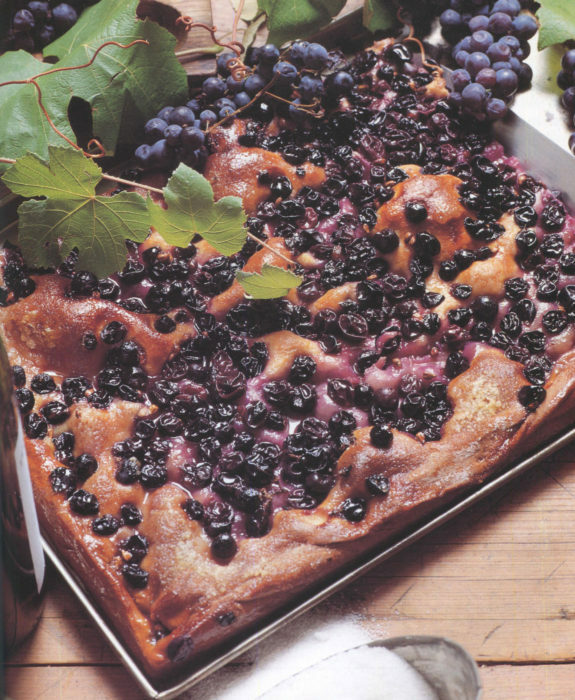 Centuries old is this marvelous dessert, Black Grape Sweet Bread. No recipe speaks louder to the tradition of “cooking close to the land” than this dessert. 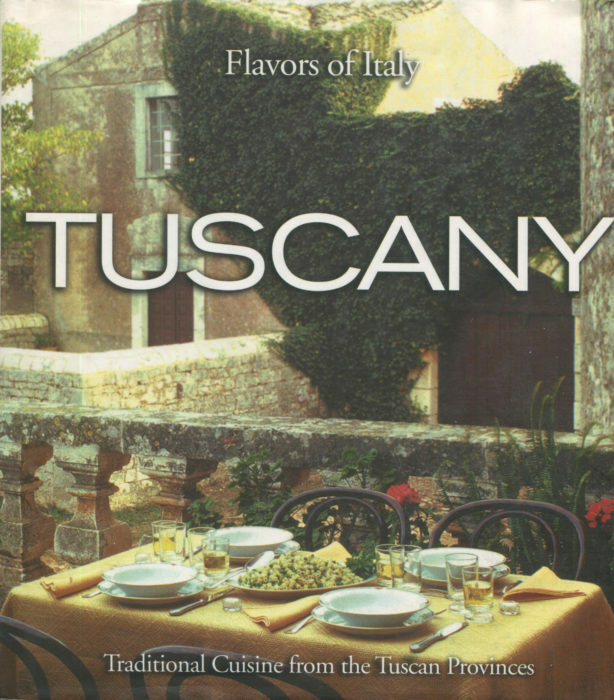 The countryside and seacoast of Tuscany is laden with heartland food and Tuscany is the perfect guide.